Dave Ramsey has a bad habit of giving harmful advice to any caller who asks about cash value life insurance or more conservative investments. Numbers fascinate me. Patterns and coincidence puzzle me. The other day I was in a meeting, sitting across from one of those leg-crossing men. I sat there, captivated not by the conversation but by the way he’d flick his left foot towards the ceiling no more than three times before lifting the heel of his right foot, allowing his right knee to act as the fulcrum for his bobbing left foot. I was able to predict with near certainty when he’d lift his foot to break the sequence. This was all done in my head, of course, as I suspect no one knew I was terribly bored and annoyed. Was he purposely doing this, or was the behavior so natural he was unaware of the predictability of his actions? We are all creatures of habit, but bad habits can be harmful. 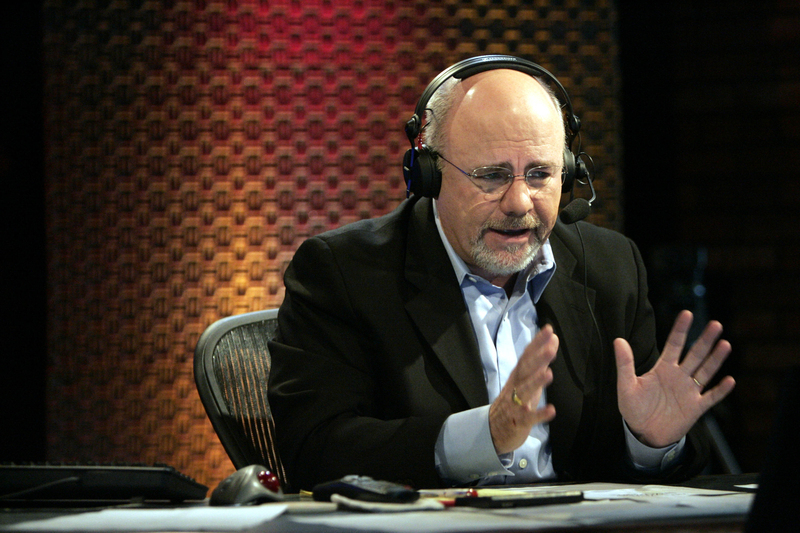 Dave Ramsey has a bad habit of giving harmful advice to any caller who asks about cash value life insurance or more conservative investments. On July 10th, 2015, the host of “The Dave Ramsey Show” gives very bad advice to two separate callers regarding separate issues. Dave causes thousands of dollars of harm to one caller by suggesting she cash out a cash value life insurance policy; with the other caller, he reveals his lack of understanding of bonds by suggesting a money market account to be superior. Like the leg-crossing man, Dave is a creature of habit. He gives cancerous advice over and over again. Today we’ll disprove Dave’s recommendation that a couple cancel their cash value life insurance policy with math, fact, and a bit of sarcasm — uh, I mean wit. The caller, a 50-year-old women, had just finished describing how she and her 55-year-old husband had eight years ago purchased a 20-year UL policy, which had a return of premium rider (ROP) at maturity. She questioned if this was a good idea, since they aren’t good savers and this would act as a forced savings plan. It doesn’t appear they thought this was a bad choice prior to becoming Ramsey followers. They had now paid $26,400 into the policy. If they continued to pay $3,300 for the next 12 years, they’d pay a total of $66,000 into the policy, but would be refunded $66,000. In other words, pay another $39,600 over 12 years to get a payment of $66,000. This is the contractual guarantee of the insurance policy based on the claims-paying ability of the insurer, not a hypothetical value based on aggressive assumptions that are likely to be overly allocated into particular market segments due to overlap. Now, let’s discuss how much they can receive to cash out the policy right now. It’s just about enough to go buy a rusted-out van without windows: $2,400 according to our caller (for the insurance product, not the van). Fifteen minutes into the meeting with the leg-crossing man, he stopped. Excitedly I watched — remember, I was quite bored — as he switched from his left foot to his right foot. His pattern changed. He went up to five foot flicks before doing a heal raise. Are you serious?! You can’t change the pattern. Yet he did. Dave, with his southern roots of stubbornness, has never shown a propensity to change. But this time, July 10th, 2015, I actually thought Dave was about to do just that. He talked with the caller and seemed to be crunching the numbers with his imaginary financial calculator. (I assume he doesn’t own a financial calculator, given his consistently bad math and cynical criticism of those who “punch numbers.”) I thought, Dave’s going to go against his heart. He is going to do what he instructs his callers to do. He will use his head and tell her to keep the MOO policy. But, as the famous saying goes, “When all you have is a hammer, then everything you see is a nail.” And Dave hammered the screw into the wood until it bent over and wouldn’t go in any further. Dave tells the caller to cancel this thing out, to invest the $3,300 into “good” growth mutual funds and to do so in a Roth IRA. Dave gave advice he’s not licensed to give when he suggested the caller replace, finance or terminate an existing life insurance policy and instead invest those premiums into securities. Given the regular and consistent recommendation to implement his advice through one of his endorsed local providers (who, as discussed in an earlier column, pay a fee to Dave for these referrals), regulators must not continue to allow such devastatingly incorrect dribble to be broadcast without consequence. Enough with the verbal argument; it’s time for the … dun dun dun … math. You knew I’d eventually pull out my nerd machine. OK, here we go. The first set of math is easy: Continue to pay $3,300 for an additional 12 years and get $66,000 back, with no risk other than the (very unlikely) financial default of one of the oldest and largest insurers in our industry. $2,400 PV (present value), 1% I (interest), 144 N (number of periods; 12 years times 12 months per year). Using the one percent interest per term input given above, we get a hypothetical return greater than Dave’s famously inaccurate, inept, cancerous 12 percent assumption, since ours is NOT an average annual rate. Input $275 under PMT (payment), and you get ninety three thousand. Anyway, back to the rabbit hole. We need to know how much to deduct from the $275 of monthly premium. Where could I find a reliable quote from a company Dave trusts? Ha! I went to Zander insurance agency, “the only company,” Dave trusts. I used their simple and consumer-friendly online calculator. (Seriously, it was an easy process; I give kudos where kudos are due.) Lastly, in an effort to give Dave’s bad advice every advantage, I assumed our mid-50s couple would qualify for the absolute best non-smoker health rating, even though I’m not sure what kind of health they’re in. Do you know why I don’t know what kind of health they are in? Because the popular radio show host was more concerned with bashing a reputable company and a particular type of product than he was with getting the facts. Now, imagine my surprise when I saw the company who had the lowest rate among the quotes provided by Zander. It was comical to see our friends in the wild kingdom, United of Omaha, perched at the top of the winner’s circle. (For readers who are not insurance people, United of Omaha is part of Mutual of Omaha.) The rates for a 10-year term policy were $31.72 and $64.62 per month. So, rather than having $275 to invest per month, our couple only has $178.66 to invest per month. Now that we have our input for PMT, we can solve for FV (future value). Hit the button and we get sixty seven thousa … dang it, I forgot another detail. Dave recommends the use of front-end load (this means commission) mutual funds. He recommends you do this over four fund types: growth, growth and income, aggressive growth and international. Amazingly, this isn’t seen as advice, since it’s not specific to the particular fund. I want to get back to the math but we need to first take a little field trip. Don’t worry this will be f-u-n, fun. Dave often says that if we flip a question so that we use our brain and not our hearts, then the answer will become clear. For example, he’ll ask someone who wants to invest $10,000 rather than use it to pay off $5,000 of interest-free credit card debt whether they would still think it was a good idea if we flipped the question around. Meaning would they, with no debt, take out $5,000 on a no-interest card to invest in the market. Everyone says, of course not. Dave smiles and tallies up another victory on his wall of glory. So let’s do the same, shall we? Imagine if Bernie Madoff, who’s clearly barred from the securities world — as well as the free world, for that matter — were to develop a newsletter from his posh 8×8 Italian brick cell. Bernie’s newsletter preached how to make sure you’re not investing in a Ponzi scheme. Next, imagine that after enough positive public brand equity, Bernie were to create a system in which he could make money by referring his followers somewhere. I’m not too creative, so why don’t we just say he calls it Bernie’s Accredited Representative of Finance (BARF for short). Like Dave’s followers do with ELPs, Bernie’s followers could meet with a BARF advisor to invest in financial products. Our BARF founder would be paid a fee for each referral. I’m not saying ELPs are anything but wonderful. I am saying that Dave is giving advice he’s not licensed to give, and that he should be held accountable. Currently Dave says whatever he wants. Since he’s not providing financial or insurance advice, he’s not under regulatory authority. And here’s where it gets fun. Would you say the same thing about Bernie’s BARFs? Would you agree that it’s not Bernie giving the advice, it’s his BARFers that are giving it? Our brains tell us this wouldn’t be right, and that regulators should step in to prevent such … what is the phrase I’m looking for … ah! … such parasitic, cancerous advice from being given. Here’s the last round of math. Brace yourself. You might remember that I had planned on discussing how Dave gave equally bad advice to another caller on the very same show. But we are out of space; I already get yelled at over my word counts. We’ll circle back to that tragedy next month. Besides I need to keep some content in reserve for future columns … er … who am I kidding? As long as Dave keeps being a creature of habit, I’ll never run out of inaccurate advice void of proper mathematical footing. As always, thanks for walking down this path with me. If you see something you’d like us to address from American’s “Favorite” finance coach, please email my editor at nmorford@alm.com.